It is no secret that many of the products we consume are manufactured behind closed doors, thus we do not see the process and materials that go into their creation. With this in mind, the married couple wanted to create a marketplace where genuine eco-friendly brands could come together and share the same honest values they hold in high regard. These brands are vetted and filtered to see if they truly do fit Luveco’s values before becoming an official partner. At Luveco Marketplace, they bring you the goods with a solid promise—they deliver, manufacture, and sell all products with honest origins—meaning High Values, Organic, Natural, Eco-Friendly, Sustainable, and EThical. Their determination to live a green lifestyle also stems from Mica’s respiratory problems as she is hypersensitive to dogs, milk, MSG, dust, and more allergies that would not do well in a polluted environment. 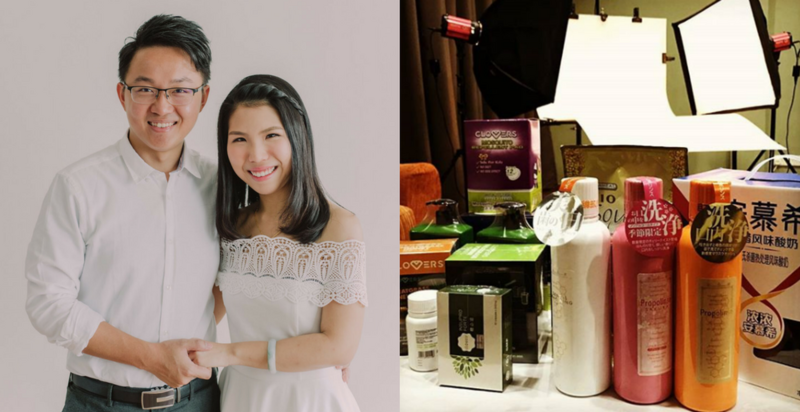 Before the couple launched Luveco, they actually began another startup also dealing with eco-friendly materials. However, things were not going well at that time and they had to cease operations after 2 years. “Hence, we are now just operating the marketplace platform (where its features are fully under our control), and leveraging off the stock holding power of the makers and distributors of the relevant brand in the region. For a while, they moved back into the family business and focused on building their finances but their enterprising spirit was never at rest. “The idea for Luveco Marketplace was formed at the end of 2014, therefore we started the platform development but stuck with our full-time jobs. By then, our finances were stable as we had saved up enough capital,” Shanq Yeet said, who manages the digital marketing and business development of the startup. Their efforts to run an eco-friendly business is as difficult as it sounds—they completed the platform in April 2017, and soft-launched in May. Along the road, there have been bumps and blocks on the way, as one would come to expect when managing a bootstrapped startup. However, they gave credit to supportive friends instead, who helped out with business referrals, recommendations, and even relevant news. Even with all the criticism they face, the couple insists on pushing on and keep themselves sane by looking at success stories of other startups and factual information on the e-commerce market. They’re still facing a constant challenge; they see a regular flow of visitors to their site, but the sales conversion is less than 1%. The main challenge they think they need to overcome is getting enough meaningful traction and raising awareness about their platform. They are currently planning to open up cross-border supply and purchase for Singapore, Indonesia, and Hong Kong. The couple also sees a lot of opportunity in Malaysia, and they’re in for the long haul. The couple is under no illusion that they’re going to be successful immediately. They estimate about 3 to 5 years to achieve a meaningful number and an eventual break even, without major investors.